The last four to five months proved quite challenging for the local tractor industry as we have witnessed the massive slow down in production and decline in sales by 30% during the second half of the year 2018 while comparing with the same period last year. On December 9th, Pakistan’s largest tractor manufacturing company – Millat Tractors shut down its assembly plant due to its annual maintenance plan for quite a few weeks which not only impacted the local production of tractors but also hit the economy of the country. According to the latest report, Millat Tractors Limited (MTL) has decided to extend the current shutdown of its manufacturing plant by another week. In a formal announcement to the Pakistan Stock Exchange (PSX), MTL informs that production shall remain non-operational for another one week and resume from Monday, January 21, 2019. Just last week, we have reported to you that Al-Ghazi Tractors Ltd. is also at the verge of taking a bitter decision bringing the plant to a shut down due to a severe slowdown in the market coupled with massive Sales Tax refunds not being released by the Government. We are hopeful that the government will soon look into this matter and resolve all the issues being faced by the local tractor industry and help them increase the annual manufacturing capacity. Chinese suggested us for small tractors years ago. We need to adopt small tractors as here in Pakistan farmers do now own large lands of 500 acres. 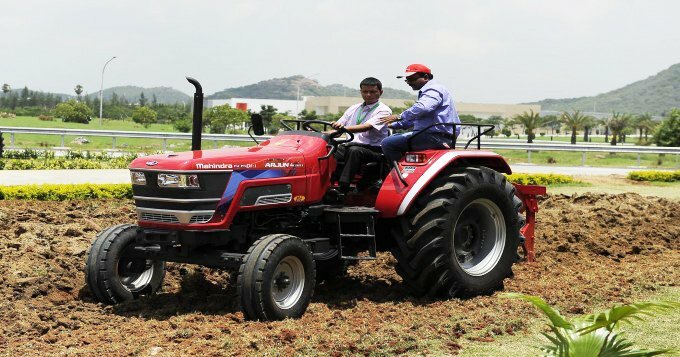 Small tractors will not only be benficial for the first time buying but also fuel efficient. Thus, reducing our import bill to great extent in terms of fossil fuel.